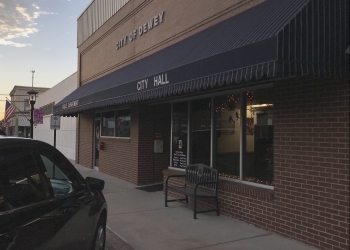 The Dewey City Council held an executive session during their Monday night meeting. Out of that executive session the council named Wade Stevens and Jimmy Gray to the Police Department’s Board of Review. Dewey City Manager Kevin Trease would go on to read another letter from the Dewey Fire Department giving an update on the fire department. The letter says that the fire department has their health documents in place and ready for inspection so the department can work toward other things. The letter would go on to read that the new program will get the firefighters prepared quicker. According to the fire department’s letter, that will give them more knowledge and skills for Fire 1 training. The council would purchase two parcels of land in the meeting. The Dewey City Council would also hear a 2017-2018 Financial Audit Report presented by Hood and Associates CPAs on Monday night as well. The council would accept the 2017-2018 Annual Audit in their meeting. That audit presented by Hood and Associates to the City Council was approved in the Public Works Authority meeting that followed The Dewey City Council meeting as well.